From Liberty Mutual’s headquarters in Massachusetts to Apple’s shiny new Cupertino campus, the nerve centres of the world’s biggest corporations are scattered across America. Fortune recently released their annual list of the 1,000 largest publicly traded US corporations by revenue. One of the features on Fortune’s site allows users to look at the companies headquartered in a particular state. 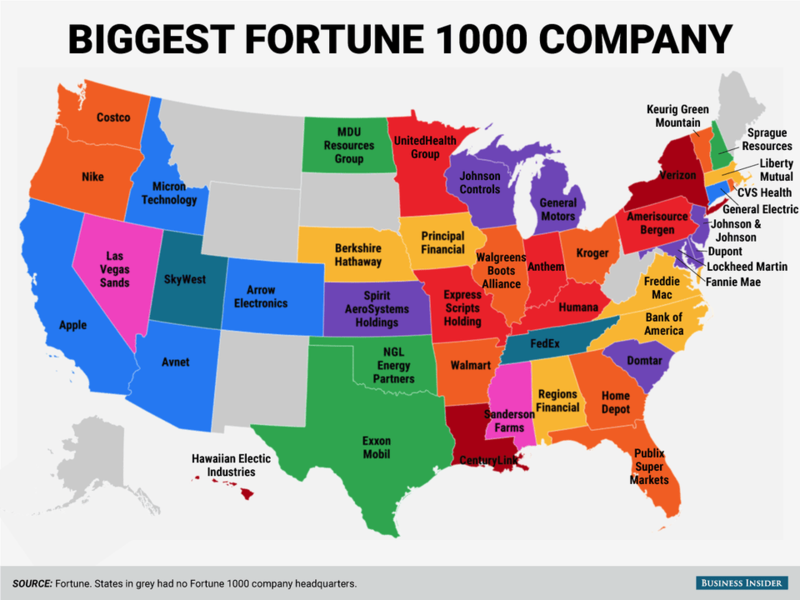 Using that, we found the top company in each state available. 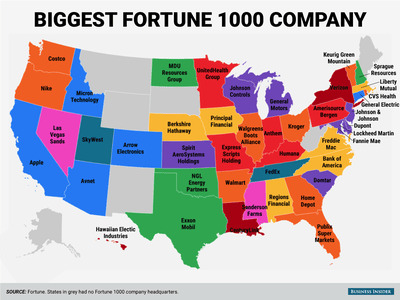 Seven states — Alaska, Maine, Montana, New Mexico, South Dakota, West Virginia, and Wyoming — had no companies in Fortune’s top 1,000 and are marked as grey in the map below.